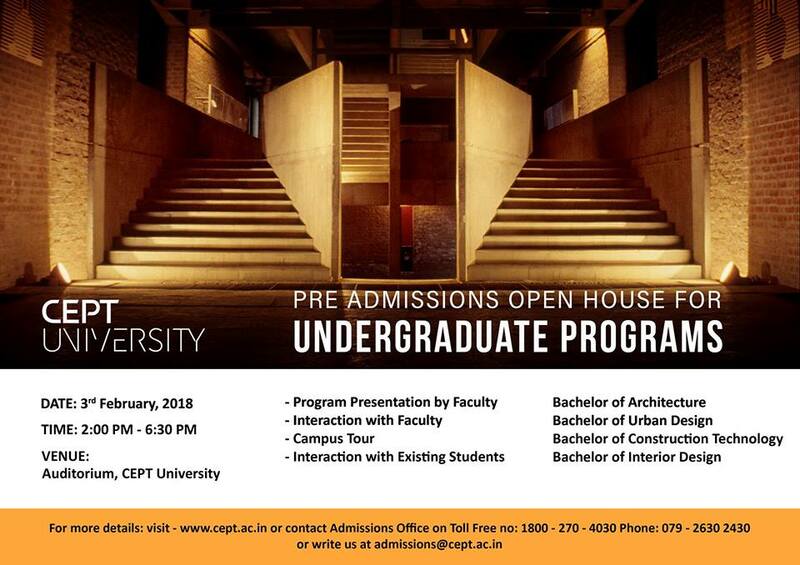 The Pre-Admission Open House 2018 for Undergraduate Programs is scheduled 2:00 PM onwards on 3rd February, 2018 at CEPT University Campus. The main objective of the Pre Admission Open House 2018 is to allow prospective students to explore the academic work and programs offered at CEPT University. They will be able to gain an understanding and insight in an academic field of their interest, which in turn will help them make right career choices. We look forward to welcome the aspiring students to transform their career, with opportunities that let them explore academic work & programs offered at the university.